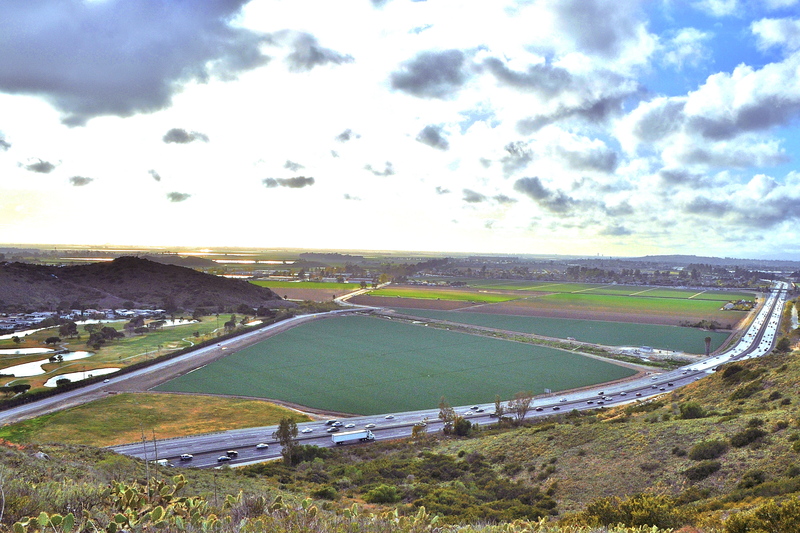 Though the Conejo Creek Properties project is a proposed 20 year build-out, if approved, the bulldozers would soon be seen dredgingthis 740 acres of farmland for the 2 mile long, 300 ft. wide bypass channel needed to “lift” this area out of the floodplain. In the end,no matter how long it takes, our community is left dealing with traffic congestion and freeway capacity overloads, increased imported water rates, stagnant home values, encroachment along the NBVC inbound flight path, and our unique Camarillo gateway “farmland view to the sea” forever filled-in and paved over. 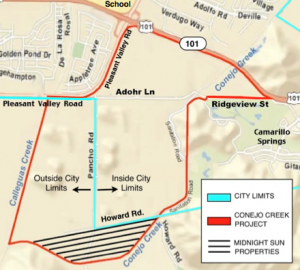 Below is the timeline for the development project known as “Conejo Creek Properties Project” proposed for a total of 844 acres at the bottom of the Conejo Grade south of the Ventura Freeway, extending from Camarillo Springs Road west to Pleasant Valley Road and from the 101 Freeway to the Conejo Mountain Cemetery. This acreage is a designated “prime” farm land area and is currently zoned “agricultural”. It is actively farmed and all of it would need to be rezoned to accommodate this project. February 2007 – Applicants(2) (property owners and developers) apply for a General Plan Amendment/zoning change. The Camarillo City Council approves the Conejo Creek Properties Project for study and it is given the official designation of GPA 2007-2. November 2009 – The Initial Study is completed, presented to the City Council and approved to proceed to the draft Environmental Impact Report (EIR) stage. An EIR Notice of Preparation is circulated to residents living in the area and applicable agencies. December 2009 – City begins to prepare Draft Environmental Impact Report (EIR) with Rincon Environmental consultants. Draft Environment Impact Report is released with a 60 day review and comment period, ending September 17, 2012 (see volumes I and II and Draft Specific Plan). www.ci.camarillo.ca.us/i3.aspx?p=976 or to view the Draft Environmental Impact Report on our website click here. 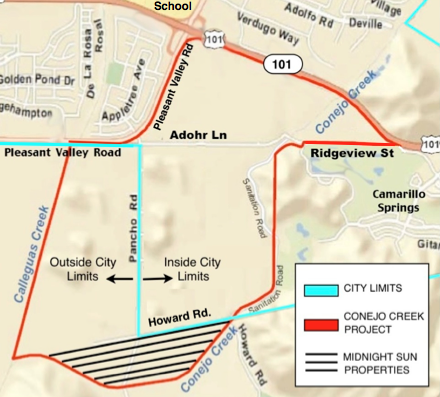 – City Council votes on the project, simple majority of 3 out of 5 Councilmembers decides if Conejo Creek Properties project is approved-to-proceed or not. (1) The right of the government to obtain private land is known as eminent domain and this right derives from federal and state constitutions and related laws. The power of eminent domain allows the government to take private land if the government provides fair compensation to the property owner. The process through which the government acquires private property over the objection of the property owner is known as condemnation.